The girlfriend and I came on a random occasion. As there’s so many Vietnamese restaurants in the Lower Mainland, we seldom make an effort to search for Viet food as there’s always one near. However, this was recommended by one of our friend “the bank guy”. Green Bamboo is literally a hole in the wall. It has its own separate entrance from the mall entrance. 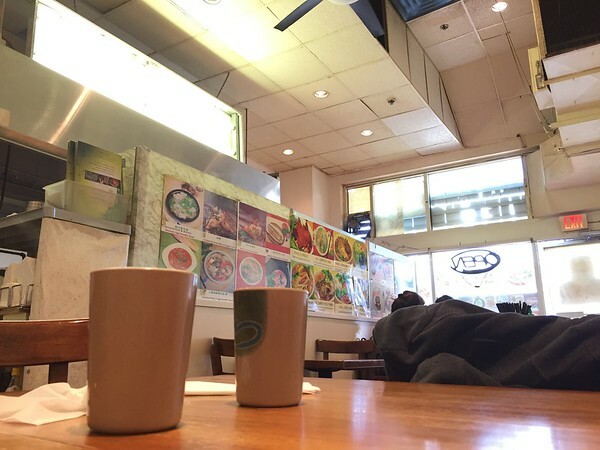 A small restaurant with a dozen tables. I was surprised by the ingredients in the Bahn Mi. It was loaded with lemongrass grilled chicken, cured meats, shredded carrots, cilantro and cucumber. It was a bit too salty for my taste buds, otherwise it was good. 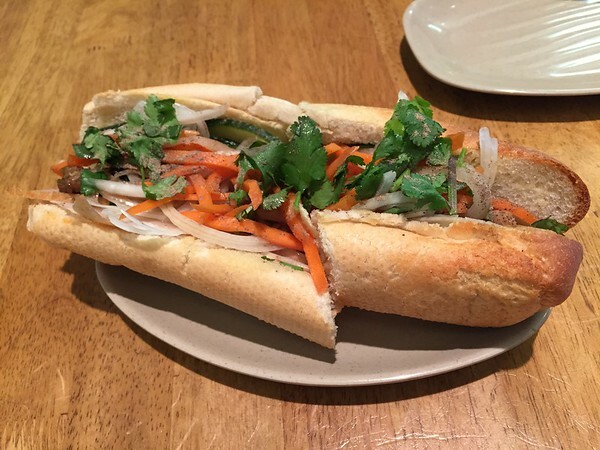 A little different than the traditional Bahn Mi. 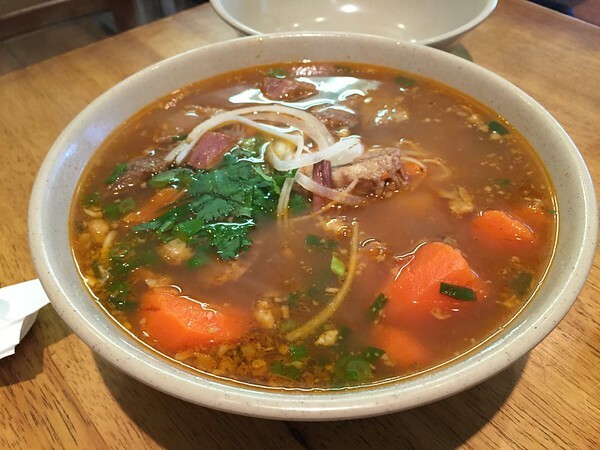 They have soup bases here that are very different from the traditional Pho beef soup base. This one is a tomato soup base, it was fantastic. The beef brisket was a bit tough. However, if you want to try something different from the ordinary this is a must-try. 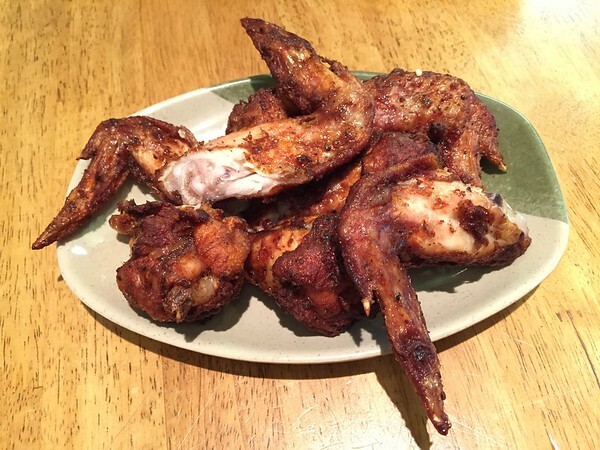 The lemongrass chicken wings were a bit salty IMO. But we just felt like having wings today. 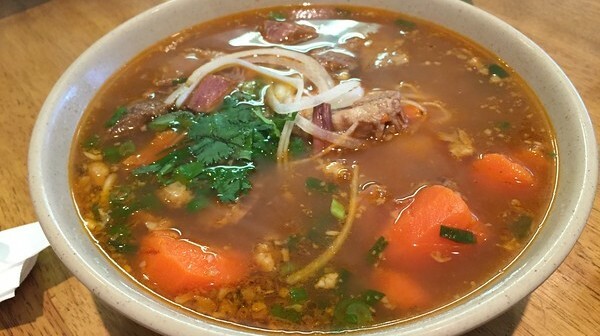 Overall, you will have a variety of menu items that are not in other Pho restaurants. Definitely will come back on another occasion to try their other menu items. The items are a bit on the salty side from initial visit, but not too salty that it’s inedible. Perhaps I’m really specific about my taste. Don’t expect too much in terms of ambiance, there really isn’t much. The price is fair and comparable to most cheap Viets eat in the area. The only problem you might have is the busy parking lot in Crystal Mall.